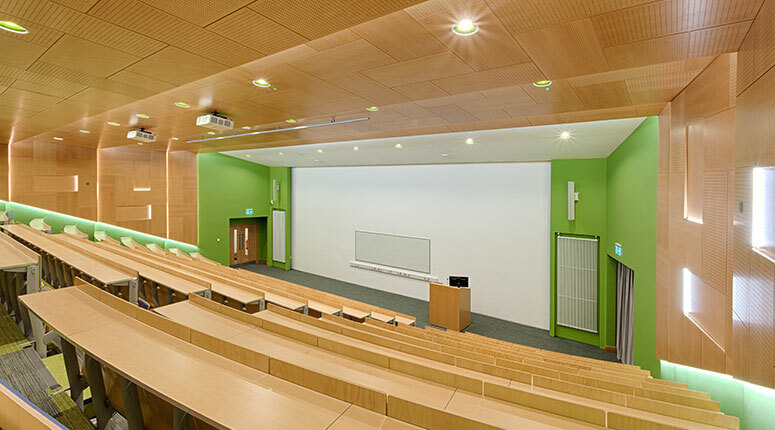 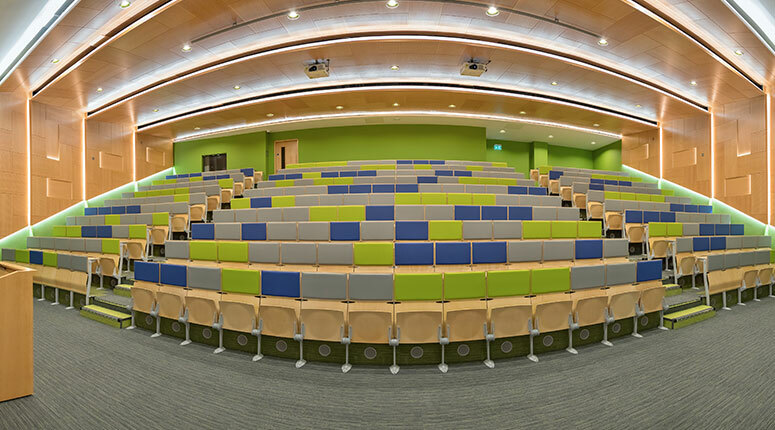 In 2016, Woodfit were involved in the conversion and refurbishment of the auditorium in the science department of Sligo Institute of Technology. 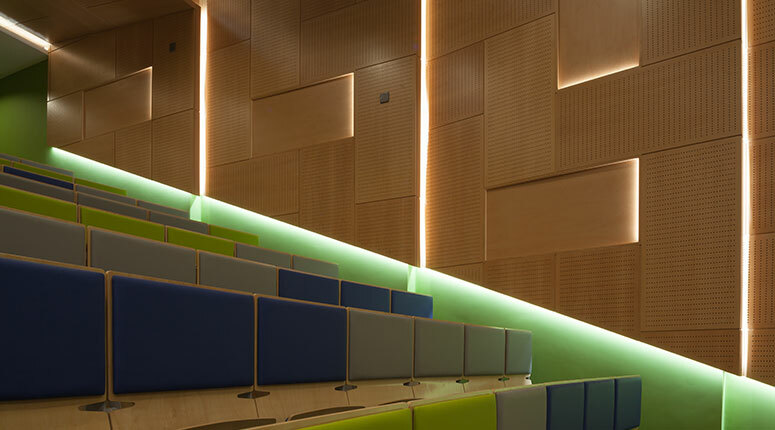 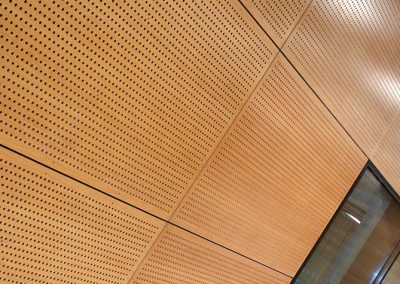 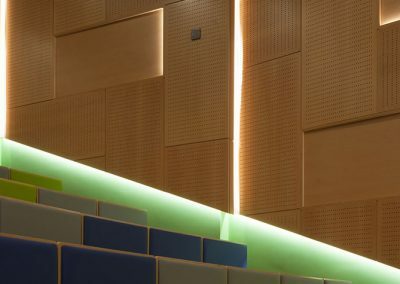 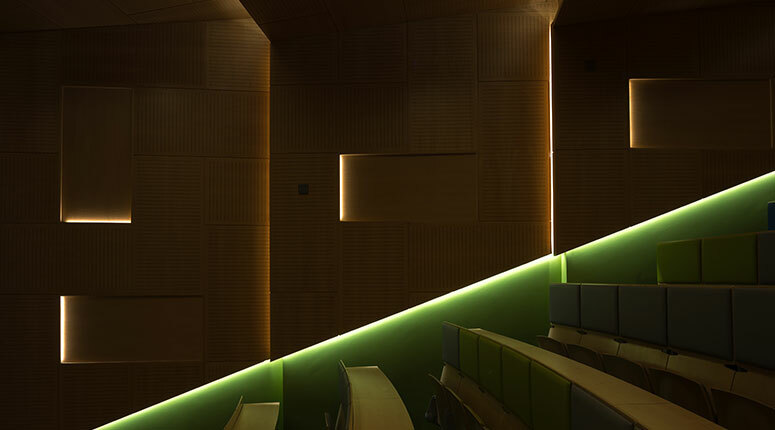 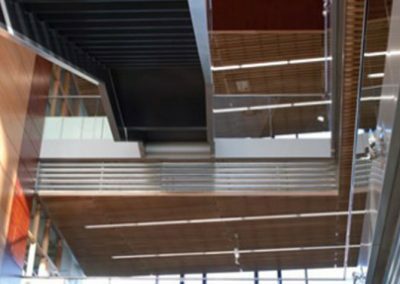 Woodfit provided perforated Beech acoustic panels to custom specifications for both ceilings and walls in the newly converted auditorium. 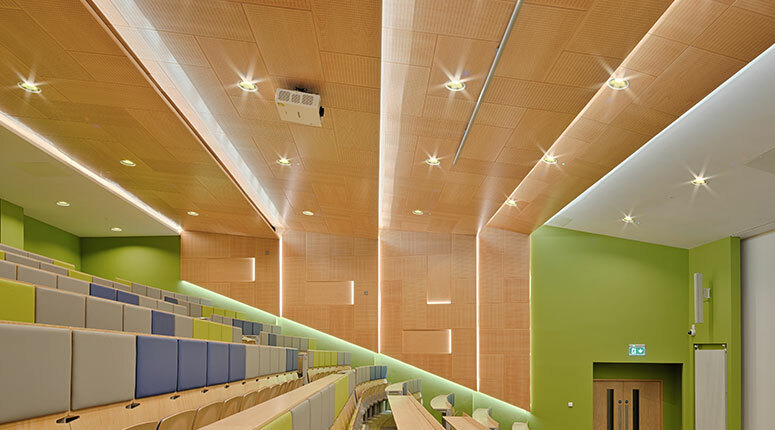 The installation, which was fully managed by Woodfit, involved custom framework to allow for half recessed wall panels. 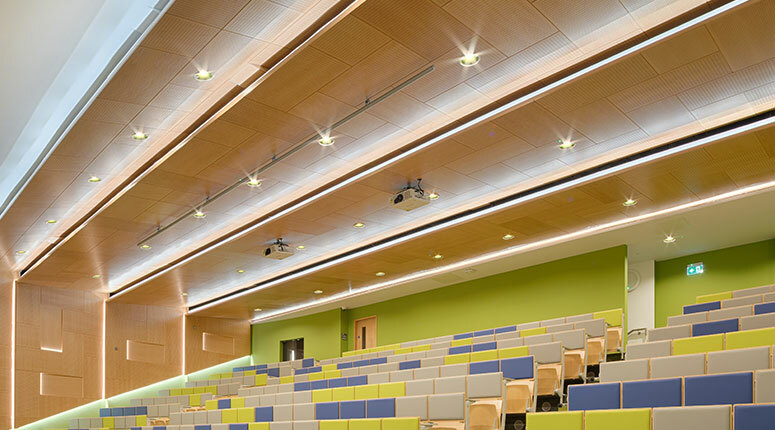 Woodfit worked with the project team and other suppliers to provide custom cut-outs for lighting and AV fixtures.